"That was a pause", she pointed out to Clinton in their Friday interview in New York City. "Hopefully when we have a Democrat in the office in 2021, there's going to be so much work that needs to be done", she said. 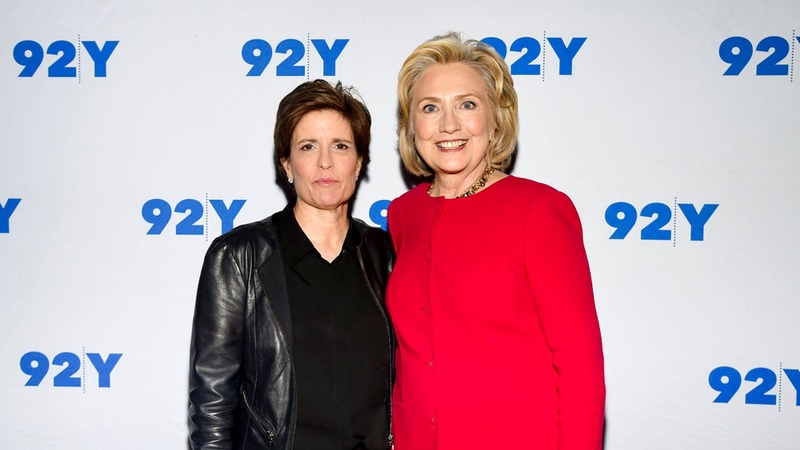 Initially, when Hillary Clinton was asked by Recode's Kara Swisher whether she wants to run again for president in 2020, the former Democratic nominee responded, "No, no". "This is the ultimate arrogance", Greg Gutfeld said. Swisher asked Clinton about former Attorney General Eric Holder's comment that "When they go low, we kick 'em". Perino added that each time Clinton waffles on a presidential bid, it "prevents someone from being able to emerge". "Your fantasies are out of control", he said. You need to watch the clip below (or read the transcript) for the full flavor of what she says but I *think* her reference to 2020 has to do with whom she might endorse, not her own plans. "Do you want to run again?" Clinton may have some other concerns about her joke; namely the fact that she was still trying to live down her 1996 "super predators" comment, which her then-Democratic primary opponent Bernie Sanders said in 2015 was about young Black men who were exponentially imprisoned because of former President Bill Clinton's controversial 1994 crime bill. Swisher, perhaps catching on a bit too late to what every last Democrat probably hopes was just an innocent wisecrack, no matter how tasteless, quickly said, "No, they don't", before saying: "Oh, well done". Hillary Clinton appeared to make a joke about black people looking alike during a recent interview talking about Sen.
"You let anybody else up there saying this stuff and they are finished!" he said Tuesday. "She's younger than Donald Trump by a year". "It's respecting the diversity that we have in our society", she said. Mr Biden, who launched presidential campaigns in 1988 and 2008 before dropping out of the race each time, has been touted as a possible contender again. Is it lack of support? "She didn't go to Wisconsin, she didn't go to MI enough; she didn't do what she had to do to win". Just before she made the racial crack, Clinton had just been stating that "what's often called political correctness is politeness" and 'not being rude and insulting to people'.